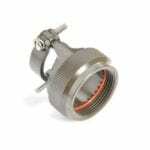 In this second FAQ article in our series, we look at some of the often overlooked questions arising when selecting and using Circular Connector backshells. If you need further guidance or information please do not hesitate to contact us. 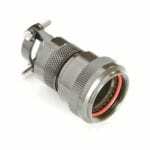 What is the recommended torque for connector accessories onto connector threads? The correct torque depends on the connector series and shell size. In general, the greater the shell size, the higher the torque required for correct assembly. 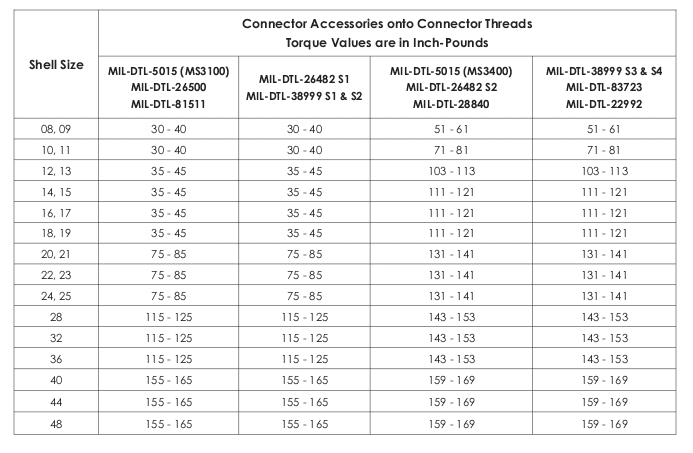 The table below for Compaero accessories provides the correct torque values for the most popular connector series including MIL-DTL-38999. For more information including torque values for cable clamps onto backshells click here to view the Compaero pdf. What is a termination band and how do I assemble one? A termination band is used to securely attach a cable braid or shield to a backshell. This is an essential process to ensure required conductivity in the cable assembly, typically to achieve the desired level of EMI/ RFI screening. They are available in different lengths, widths, and styles. Prepare the connector and cable braid for band termination process. Using an appropriate size band, feed the end of the band through the narrow slot on the buckle twice. This will create a double-looped band. Never use a single-looped band. 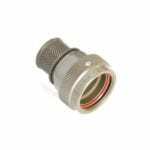 To hasten the termination process on smaller adapters, pull on the end of the band to reduce the diameter of the loop. Squeeze the release lever and insert the end of the band into the nose of the tool. Ensure the orientation of the band matches the graphic on the body of the tool (coil down when the tool is held upright). Position the connector and the shield assembly through the band. Repeatedly squeeze the tensioning handle until the band closes around the assembly. Once the band is close around the assembly, use half strokes of the handle until the band is tight against the braided cable. Release the tensioning handle and allow it to open fully. With one final stroke, close the tensioning handle until it locks against the tool body. This indicates that the band has been tightened to the pre-set tension. Release the tensioning handle and then squeeze the release lever. While squeezing the release lever, carefully pull on the band and slide it out of the tool and discard. For more information and pictures accompanying each step and for information about Welded Termination Bands click here to view the Compaero pdf. What is a shrink boot adaptor and when should I use one? 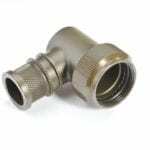 ‘Shrink Boot Adaptors’ are accessories used to provide adequate surface area when unshielded cables are terminated with heat shrink boots. They attach to the tail end of a connector where the wires terminate. They should be used when a cable termination requires environmental protection and strain relief using a heat shrink boot. NYKCS can also supply a commercial variant of Conesys D38999 III connectors that have an integral shrink boot adaptor with strap platform. How do I choose the material and finish for my backshell? The backshell should have the same material and finish as the connector body and is usually selected based on the required environmental performance. It is worth noting that Black Zinc Nickel is becoming the preferred option in many scenarios due to the drive to reduce the use of hazardous materials such as Cadmium. Cable entry sizes – Could I use a larger one if available? 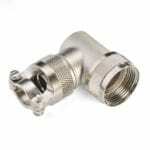 Backshells are available in as many as 25 different cable entry sizes ranging from 3.199 mm to 51.19 mm. Generally, it is acceptable to use a cable entry diameter 1 or 2 sizes larger than the cable provided that the clamp or shrink boot used is suitable. What options are available for cable clamps?